The Neon Neuron Blog: The Paper Custodian has updated! After two weeks of nothing, The Paper Custodian has updated! 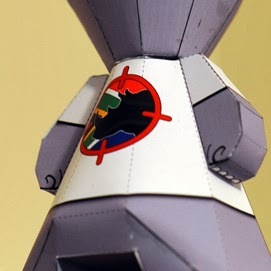 This weeks build is Anti-Poaching Mascot Genetically altered by paper toy creator Sinner. your own anti-poaching paper toy!